What should you do in case of a fire in a hotel? – Choose a hotel/motel that is protected by both smoke alarms and a fire sprinkler system. – When you check in, ask the front desk what the fire alarm sounds like. – When you enter your room, review the escape plan posted in your room. – Take the time to find the exits and count the number of doors between your room and the exit. Make sure the exits are unlocked. If they are locked, report it to management right away. – Keep your room key by your bed and take it with you if there is a fire. – If the alarm sounds, leave right away, closing all doors behind you. Use the stairs — never use elevators during a fire. – If you must escape through smoke, get low and go under the smoke to your exit. 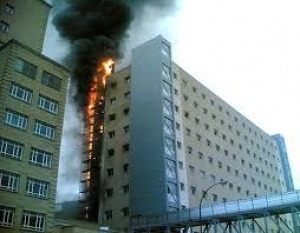 On average, one of every 13 hotels or motels reported a structure fire each year. The majority of hotel fire deaths result from fires that started in the bedroom. Cooking equipment is the leading cause of hotel/ motel fires.